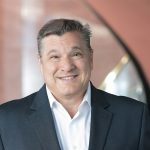 Tom Hareas is the Vice President of Development for The Sembler Company, where he leads retail shopping center development efforts in Florida for the full-service real estate firm. In that role, he is responsible for future shopping center site acquisitions as well as project development. Hareas joined Sembler in 1996, and has managed the development of some of the firm’s most successful and largest developments, including Winter Garden Village and the redevelopment of Clearwater Mall, as well as numerous Target- and Publix-anchored shopping centers. Sembler has been in business for more than 50 years, has developed more than 325 projects totaling more than 27 million square feet, and leases and manages a portfolio of nearly 10 million square feet throughout the southeastern U.S. and Puerto Rico. Before joining Sembler, Hareas served as Director of Tenant Coordination for Chicago’s General Growth Properties, Inc., where he administered tenant development, design and construction services for the company’s national portfolio. He also served as Design/Construction Manager for Chicago’s Homart Community Centers, Inc., (Homart Development Co.). Hareas is an active member of the Tampa Bay chapter of the International Council of Shopping Centers. He also volunteers at Plato Academy, recently serving as Chairman of the K-8 charter school. Hareas holds several degrees from the Illinois Institute of Technology, Chicago, Illinois – including a professional Master of Architecture degree, Master of Science in Architecture, a Bachelor of Science, and substantially completed coursework towards a Master of City and Regional Planning prior to moving to Florida.